Quebec City: A new foodie destination? A new culinary culture in Quebec City is getting foodies excited. Chefs in the area are adopting a localism approach, focused on using food produced locally. This change in cuisine is quickly transforming Quebec City into a new foodie destination, and is sure to attract foodies and travellers. “While the hallmarks of classic sugar shack cuisine thankfully linger, local chefs have fully embraced the localism movement – an established trend, for sure, but slightly more complicated in a climate like Quebec’s. And while the influences of traditional European cuisine remain, the city’s top chefs are moving away from fatty meats and heavy sauces and creating a nouveau Quebecois cuisine with more vegetable-focused dishes with the finest (and highly micro-managed) local produce,” says Sarah Treleaven in the National Post. Residents of Quebec City have a passion for food, especially when it comes to organic farming, wine and le terroir – “the symbiotic relationship between the soil, the climate and the geography that create the perfect conditions for products like wine, coffee, chocolate and cheese—all of which Quebec City produces in spades,” says Aliyah Shamsher in Elle Canada. 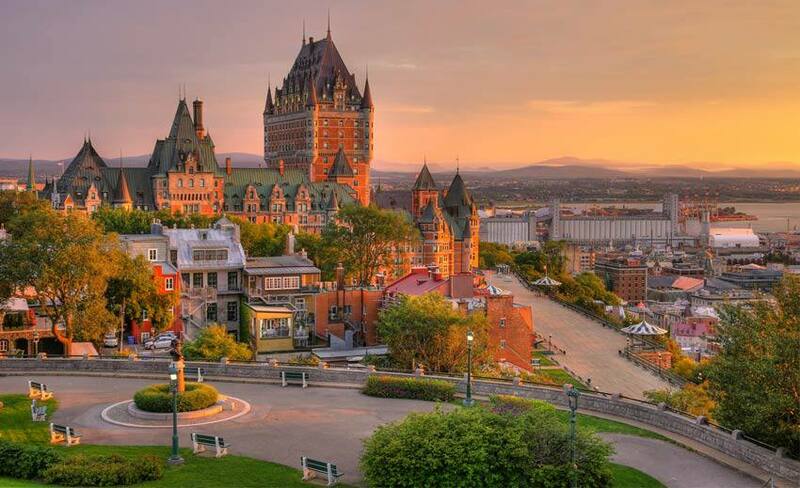 Stay at the Auberge Saint-Antoine: Located right in Quebec City’s Old Port and just minutes away from the St. Lawrence River, museums and great restaurants. Travel by train: You don’t have to worry about traffic or weather conditions, and you have the added benefit of better food options, Wi-Fi access and service from downtown Toronto to downtown Quebec City. Panache: Located in the Auberge Saint-Antoine hotel, the menu features a throwback to classic dishes using local produce. Le Moine Échanson: A small, family-owned bistro that is also a wine shop, and the daily menu is based on the wine that is currently being served in the restaurant. Le Chic Shack: This restaurant offers patrons a different interpretation of classic Quebecois dishes such as poutine, as well as a large selection of burgers and homemade milkshakes. Érico Chocolatier: This is the place to go for hot chocolate in Quebec City. Choose from 10 different flavours of chocolate! Maple Delights: If you have a sweet tooth and love maple flavour, you need to stop in here. They have maple-flavoured everything, and you can even book a maple tasting. Whether you need travel insurance for a weekend, or for a week or more, Blue Cross offers personalized travel insurance for all travellers. Get a quote today and travel worry-free.